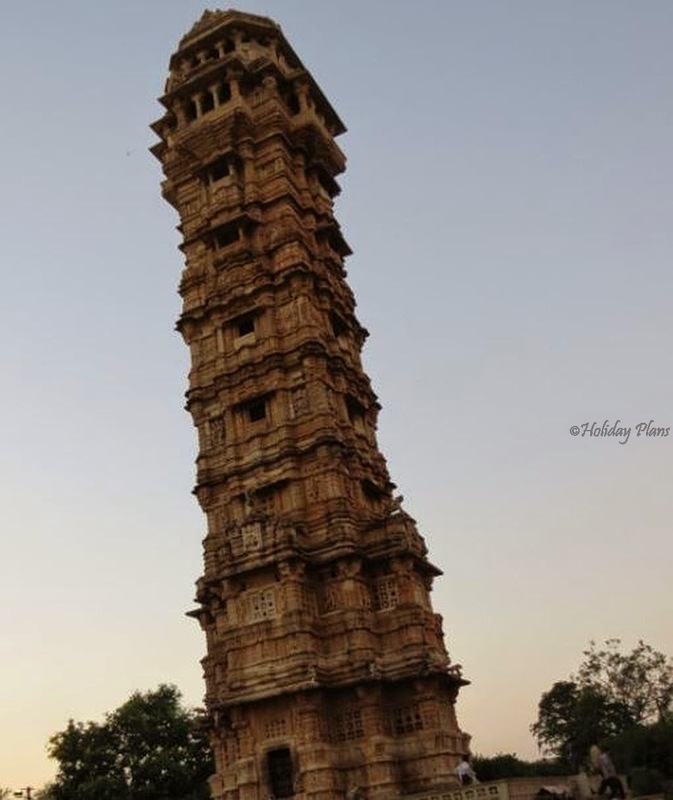 Home » Berach River » Chittor » Chittorgarh » Gambhiri » Gaumukh reservoir » Jaya Stambha » Meera Temple » Mewar » Rajasthan » Vijay Stambh » Chittorgarh – Home to Largest Fort in India! 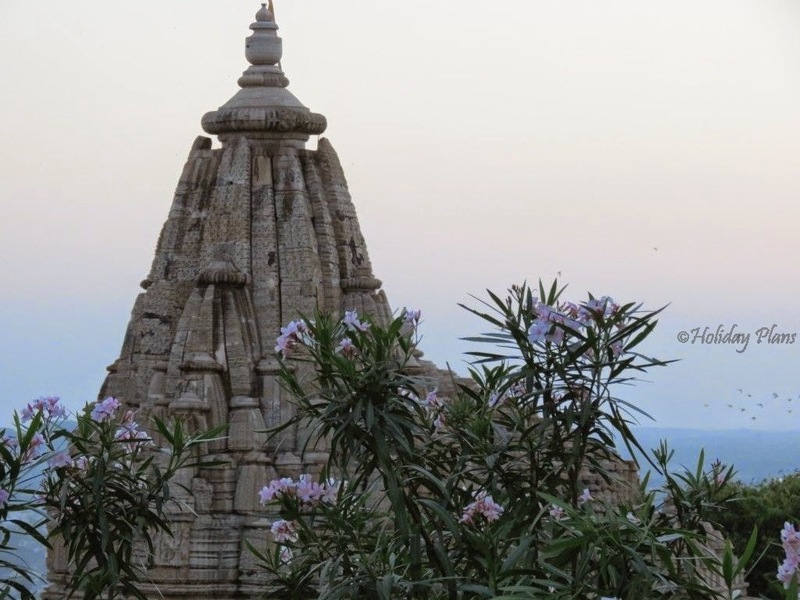 Chittorgarh – Home to Largest Fort in India! While returning from Mount Abu , I had deliberately booked the train back from Chittorgarh instead of Udaipur. The reason being simple- Chittorgarh is home to the Largest Fort in India and is a World Heritage Site and I was in no mood to miss it out. 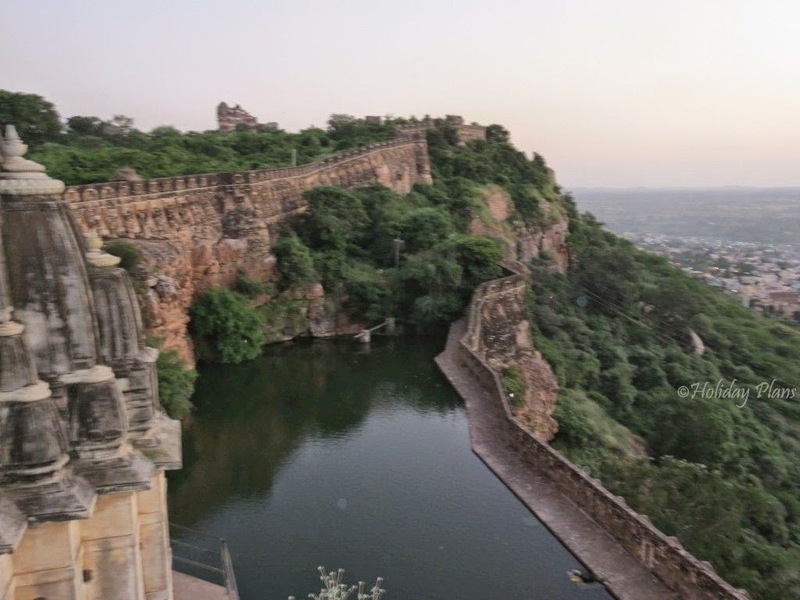 Chittorgarh is a district in Western Rajasthan. 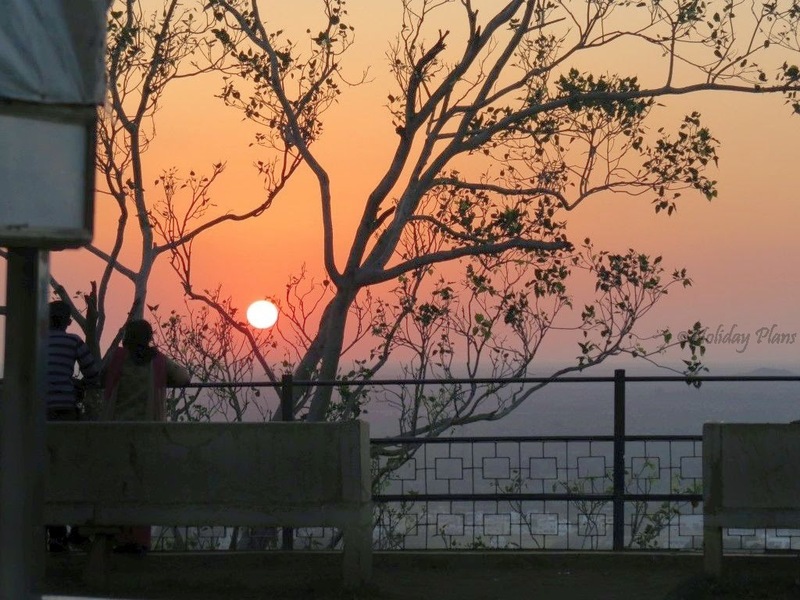 It is situated roughly 270 kms from Mount Abu and it takes nearly 5 hours to reach. It is situated on the banks of Gambhiri and Berach river (a tributary of Banas). Also this place was the capital of Sisodia dynasty rulers of Mewar, before they shifted their capital to Udaipur. 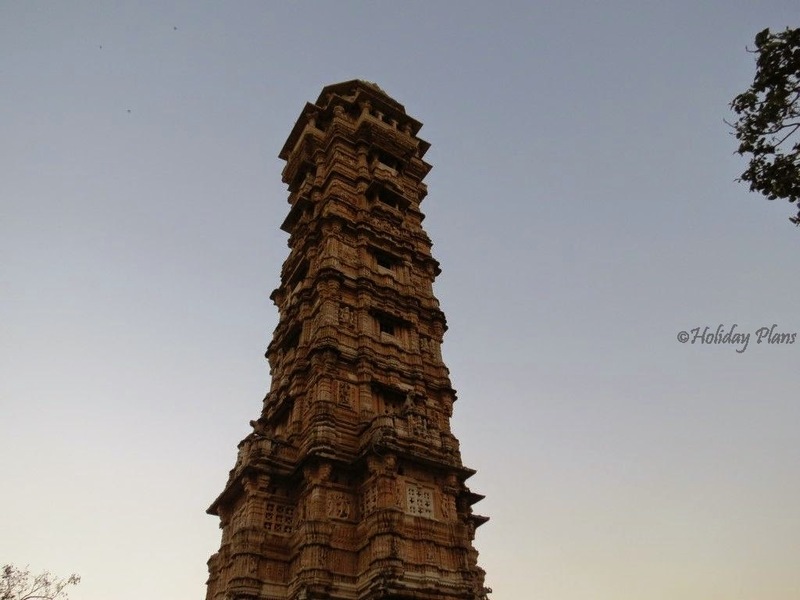 Chittorgarh Fort stands tall on a 180 meter high hill and is visible from the major portion of the city. It looks quite majestic from the distance itself. 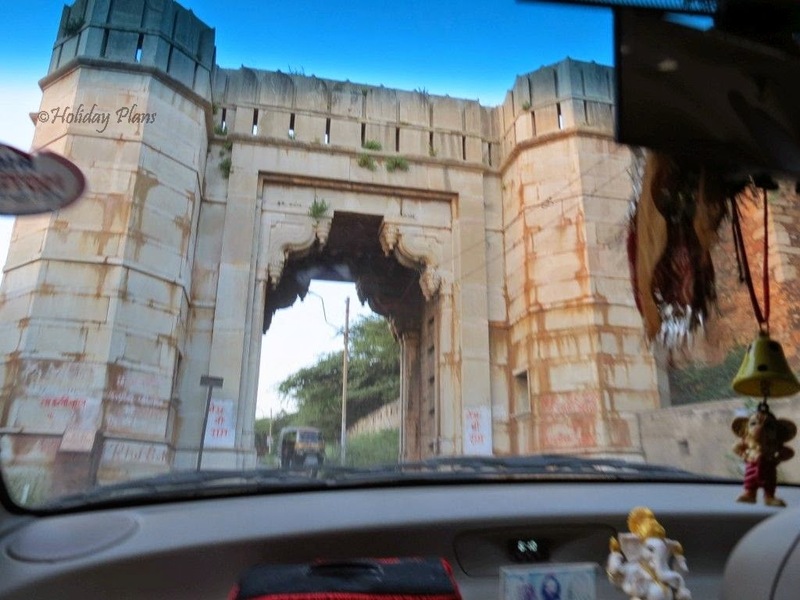 Going down the history lane,this fort was built by the Mauryans in the 7th century! (Yes it is quote old yet the largest!!) This fort has seen many fierce battles and seiges. 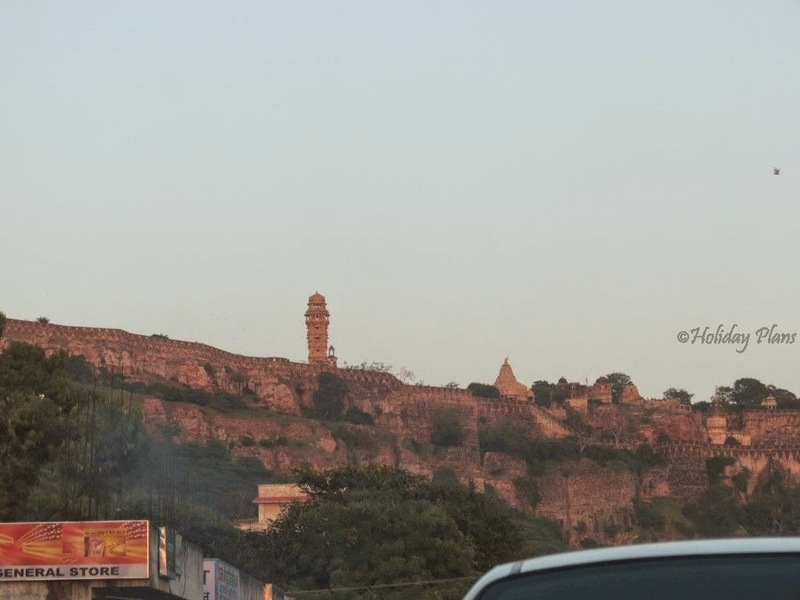 In 14th century Allaudin Khalji defeated Raja Ratan Singh , In 16th century Bahadur Shah defeated Bikramjeet Singh and later in 16th century Emperor Akbar defeated Maharaja Udai Singh II who left the fort and found Udaipur. Because of such fierce battles in the past, this fort is associated with many brave legends and spine-chilling stories in Indian history! 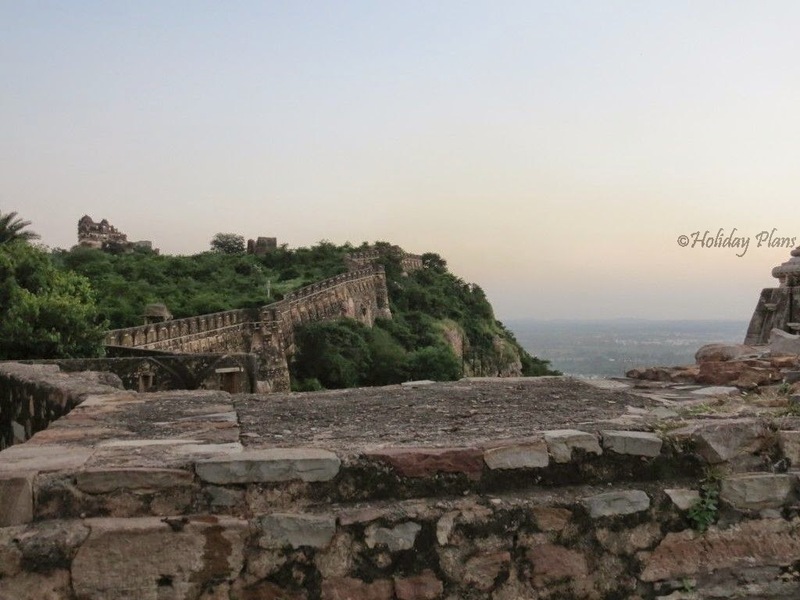 Although the fort is in ruins for major part yet it has amazed the tourists and has been an inspiration for the writers since times immemorial. We reached fort well past afternoon and were left with very less time to explore. 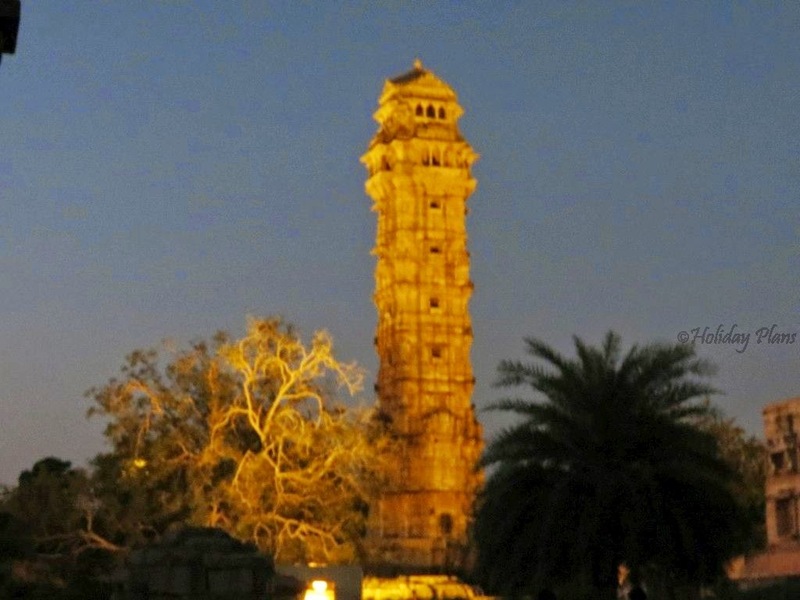 But we didn’t waste any time and started straight away.Vijay Stambh or Jaya Stambha (Tower of Victory) is called the face of Chittor (nickname for the fort). 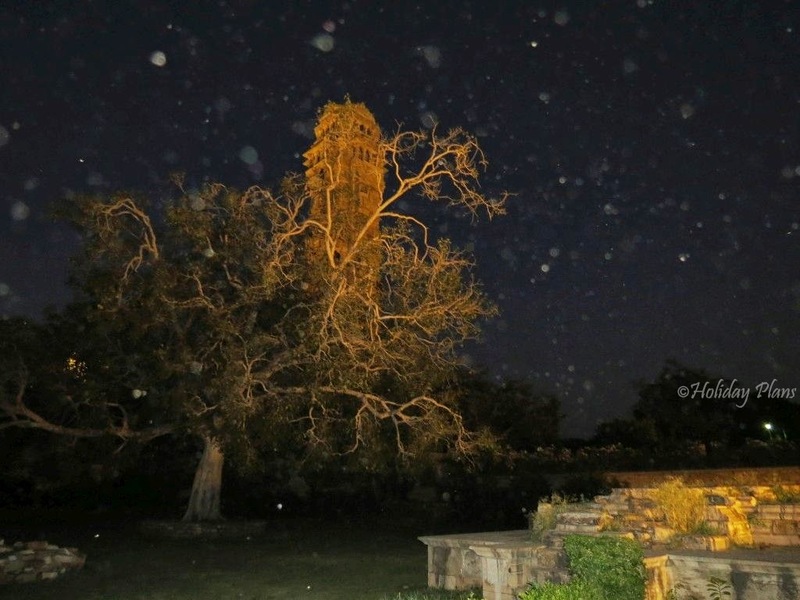 It is an expression of victory and triumph , erected by Rana Khumba to commemorate his victory over Mahmud Shah Khalji. As I stood in front of the tower it looked like it is some scene carved right out of a movie. 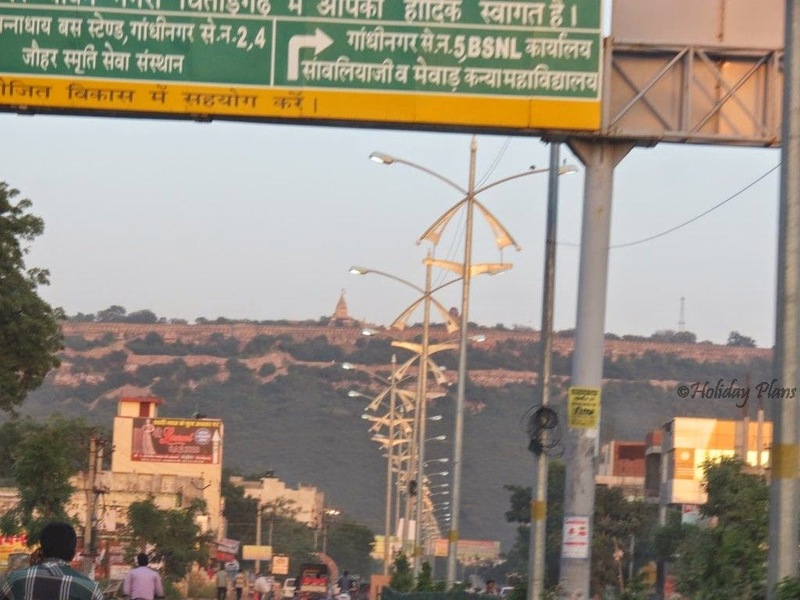 It looked stunning with Chittorgarh city in the background downhill. Our next destination was the Meera temple. 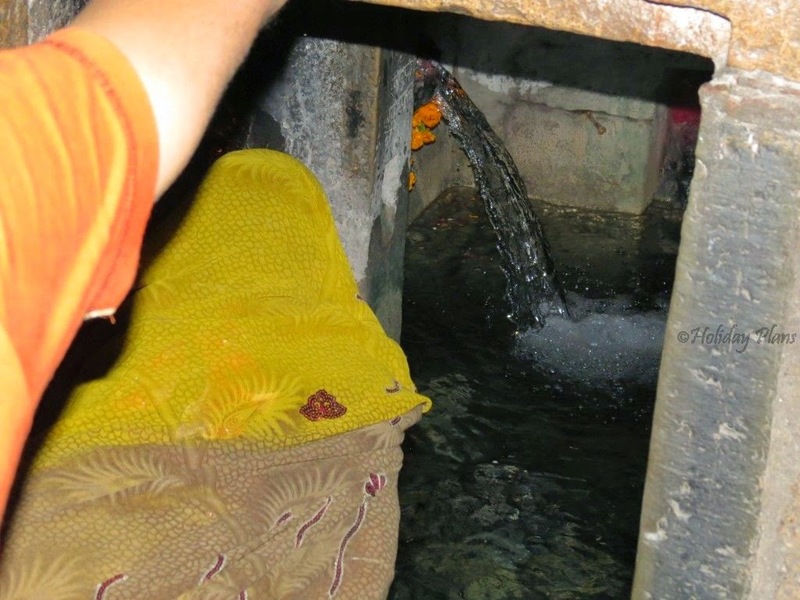 It is this place where Saint Mirabai , an ardent devotee to Lord Krishna dedicated her entire life to his worship and started the Bhakti Movement from here. She composed and sang lyrical bhajans here which are called Meera Bhajans. 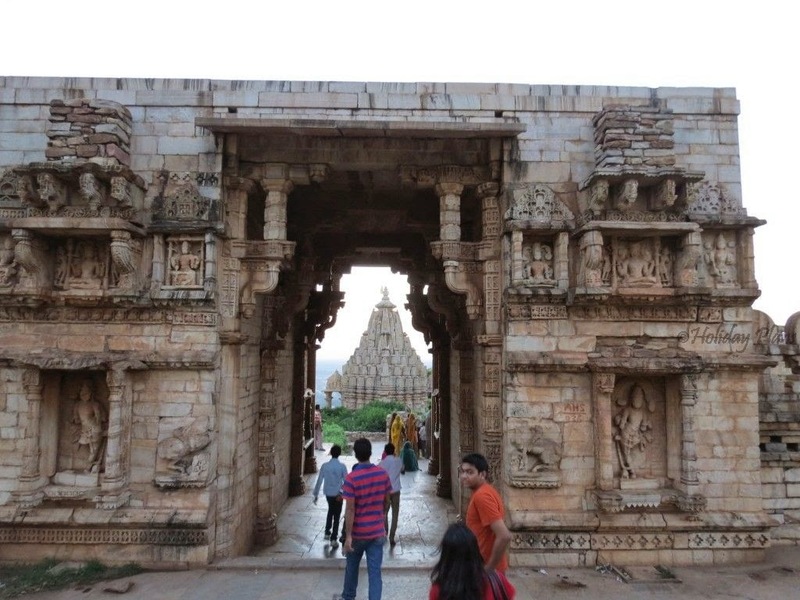 The temple looked architecturally sound and interesting pyramidal shape was given to it. Lying near the temple is the Gaumukh reservoir. 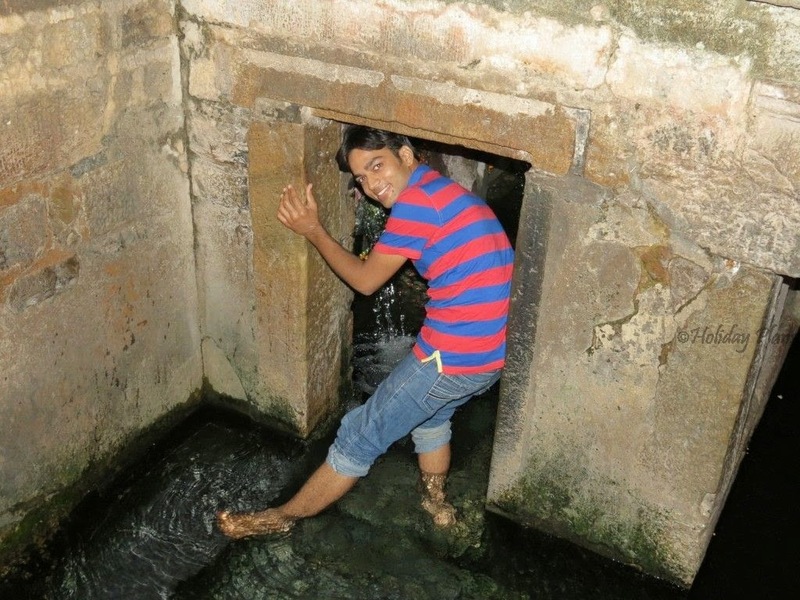 It is a mystery tank in the fort as its source is a spring coming out of a cliff which is shaped as cow’s mouth. 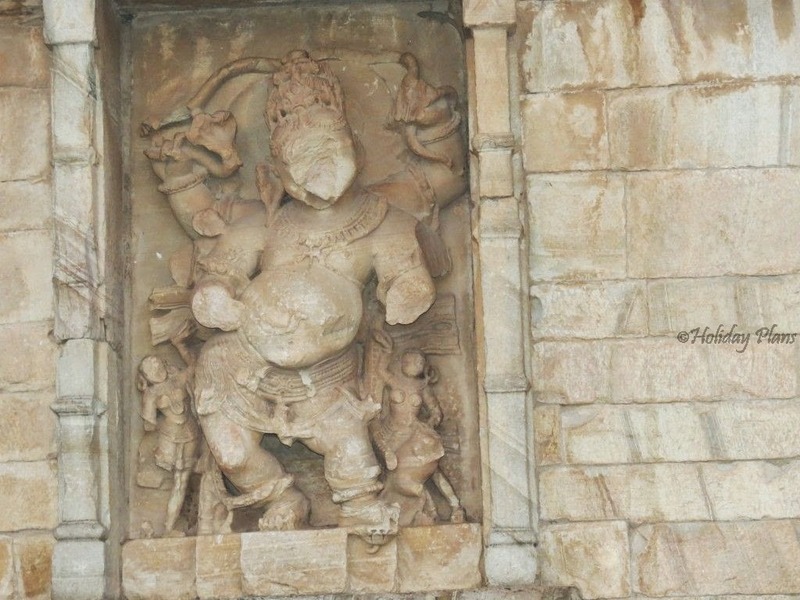 Locals here refer to this “cow” as “GauMata” and worship her. It acted as source of water for the fort during the time of sieges. This place looked calm and surreal when the sun was about to set in the background. 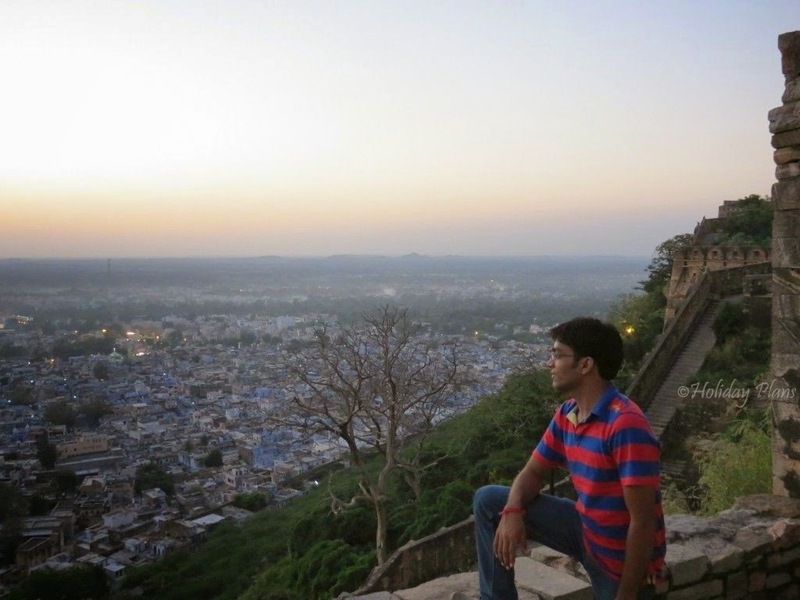 Soon it was the time of the sunset and the view of the chittorgarh city from the fort was just amazing. We stood there and gazed upon the city from the walls of the fort. Also we managed to capture one of the most eye-catching sunsets in the lenses. 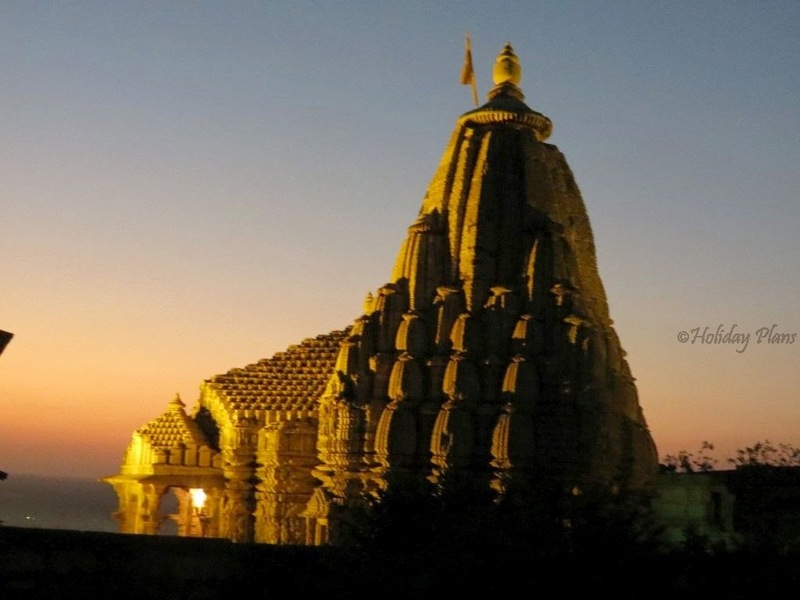 Post sunset Vijay Stambha and other temples in the fort are lit up. 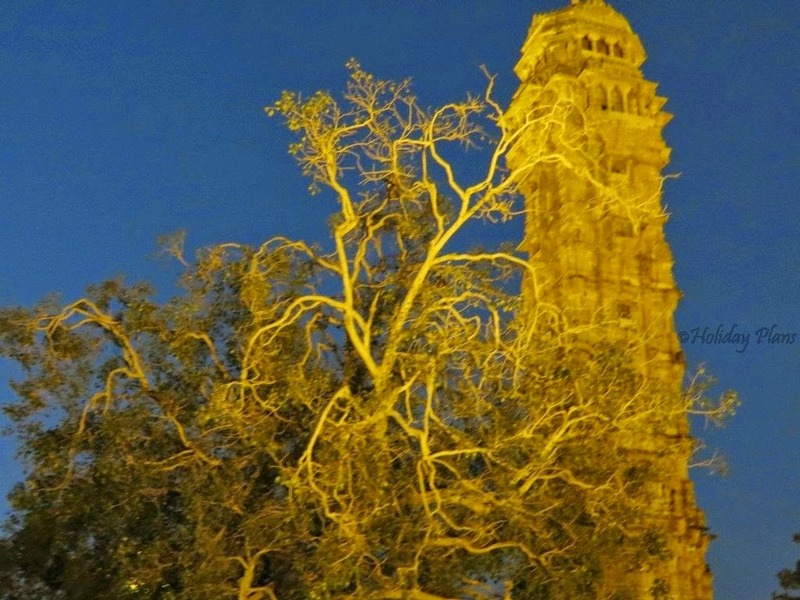 Vijay Stambha looked stunning in day light and it looked even better when it was lit up. We all were truly engulfed in the royal and majestic feeling of being in the largest Fort in India. It was time of our train that pushed us out of the fort and forced us to travel back to the metro we live in. But as I write this article, I still wonder how fascinating the life of people and rulers at their time without mobiles and other electronic gadgets would have been. Ample resources and nothing to worry much. Well with this thought I take your leave and promise to come back with another article from other corner of Incredible India!